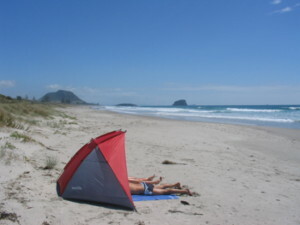 Pack a picnic and your beach gear and spend long lovely days at the beach, just 80 metres from Cosy Corner. Swim, surf and boogie board or splash about in the shallows with the little ones. Get your head into a good book as you relax in the sun, build sandcastles or have a game of beach cricket. 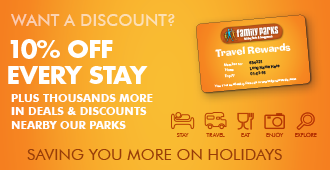 It’s a good life, and all here for the taking when you stay with us at Cosy Corner. The main Mount Beach is just a 5 minute drive away, and a bustling vibrant place to see and be seen, especially during summer months. 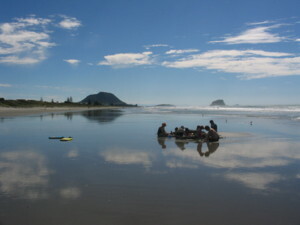 There are beachfront cafes, and the towering Mount Maunganui offers excellent walks around its base or to its summit. Pack a nice lunch and set off to find a quiet beach or stunning views. 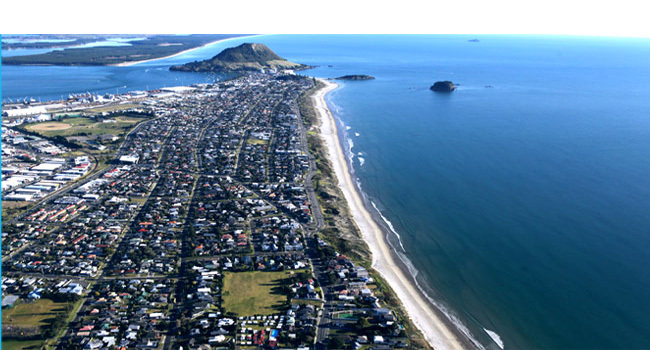 The main Mount Maunganui beach is blessed to have a surf beach on one side and a calm harbour (Pilot Bay) on the other (just a few hundred metres apart!). Pilot Bay is a great spot for kayaking, swimming and even fishing off one of the jetties. Volunteer surf lifesaving clubs operate over the summer season at the main Mount Beach, at Omanu Beach (a quick stroll from Cosy Corner) and further down the coast at Papamoa Beach (a ten minute drive from Cosy Corner). You may choose to swim between the surf lifesaving flags here for the safety that this offers.